The current study presents results from an autism spectrum disorder (ASD) public health surveillance project conducted in Minneapolis. The study was designed to compare ASD prevalence in Somali children (ages 7–9) to that of non-Somali children. The study adapted methodology used by the Centers for Disease Control and Prevention’s Autism and Developmental Disabilities Monitoring Network. Results indicated that Somali (1 in 32) and White (1 in 36) children were about equally likely to be identified with ASD, but more likely to be identified with ASD than Black and Hispanic children. 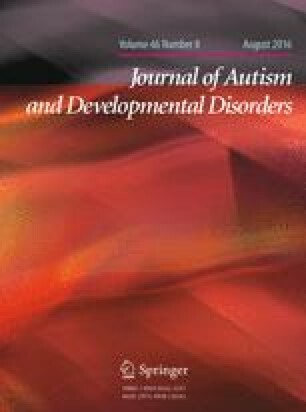 Somali children with ASD were significantly more likely to have an intellectual disability than children with ASD in all other racial and ethnic groups. The preparation of this report was supported by a cooperative agreement with the Association of University Centers on Disability (AUCD) (Award No. CON000000031900) with additional funding provided by the National Institute on Disability Rehabilitation Research (NIDRR), U.S. Department of Education (U.S. Department of Education (Agreement Nos. H133B080005-09 and H133B130006) awarded to Research and Training Center on Community Living, Institute on Community Integration at the University of Minnesota. Additional financial support contributed by Minnesota Department of Health and the Institute on Community Integration. Technical assistance and funding was provided by the Centers for Disease Control and Prevention (CDC), the National Institutes of Health (NIH), and Autism Speaks, and managed through the Association of University Centers on Disability (AUCD). This study has been presented at IMFAR 2015 as well as several other local/regional conferences. The current study is not adapted from a dissertation. Our research team would also like to acknowledge the assistance of Dr. John Connett and Dr. Susan Brower (Minnesota State Demographer). The preparation of this report was supported by a cooperative agreement with the Association of University Centers on Disability (AUCD) (Award No. CON000000031900) with additional funding provided by the National Institute on Disability Rehabilitation Research (NIDRR), U.S. Department of Education (U.S. Department of Education (Agreement Nos. H133B080005-09 and H133B130006) awarded to Research and Training Center on Community Living, Institute on Community Integration at the University of Minnesota. Additional financial support contributed by Minnesota Department of Health and the Institute on Community Integration. Amy Hewitt declares that she has no conflict of interest. Jennifer Hall-Lande declares that she has no conflict of interest. Kristin Hamre declares that she has no conflict of interest. Amy N. Esler declares that she has no conflict of interest. Judy Punyko declares that she has no conflict of interest. Joe Reichle declares that he has no conflict of interest. Anab A. Gulaid declares that she has no conflict of interest. This article does not contain any studies with human participants performed by any of the authors. This study was a surveillance study of clinic and special education records. There was no direct contact with study participants. However, a passive (informed consent) process was included in the study in which a letter was sent home and families could decline participation. Minnesota Department of Health (MDH). (2009). Autism spectrum disorders among preschool children participating in Minneapolis Public Schools Early Childhood Special Education Programs. MN Department of Health. St Paul, Minnesota. March 2009. Retrieved from http://www.leg.state.mn.us/docs/2009/other/090520.pdf. Pantelis, P. C., & Kennedy, D. P. (2015). Estimation of the prevalence of autism spectrum disorder in South Korea, revisited. Autism. doi: 10.1177/1362361315592378. U.S. Census Bureau; American Community Survey, 2006–2008. Retrieved from http://factfinder.census.gov/home. June 11, 2014.